The Ten Stages Study Course is perhaps the greatest human exploration and adventure about rebuilding autonomous self worth. When we trump a person’s right to make autonomous decisions we send him/her the message that he is incompetent. By giving him/her a label We teach him/her not to trust themselves. We teach him/her that his experience is a pathology rather than an opportunity for self-study and growth. We teach him/her that his “symptoms” or “defences” are a problem rather than a window into a world of deeper meaning and history. We teach him/her that life’s answers are outside of him, that the truth is not within him, and that his best bet is not to look within for guidance. 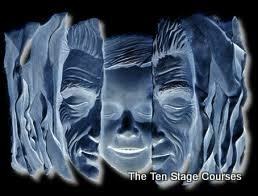 The Ten Stages is an autonomous self teaching Study Course owned by yourself and completed by yourself. It is perhaps the greatest human exploration and adventure based recovery study program on this planet and it is available to you. Labels: The Ten Stages Study Course is perhaps the greatest human exploration and adventure about rebuilding autonomous self worth.